OCTOPUS HEART: an original work of physical theatre, dance and contemporary circus bridging the worlds of art and medicine. 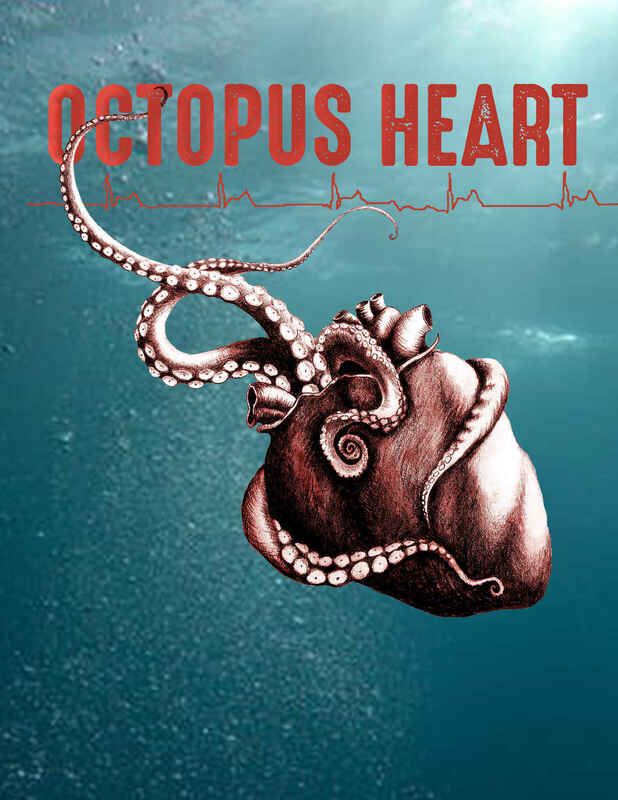 We invite you to support our new performance, Octopus Heart, an original work of physical theatre, dance and contemporary circus bridging the worlds of art and medicine. Your financial contribution directly supports our dedicated team of artists in bringing to life a unique investigation of the human heart. Through dance, aerial arts, live music, and video, we tell the story of a broken heart, and reveal connections between apparent opposites: patient and clinician, health and sickness, poetry and everyday life. Our story follows a patient who enters the ER with chest pain and is ultimately diagnosed with takotsubo cardiomyopathy, or "broken heart syndrome" in which the heart muscle is damaged after a serious emotional shock. The syndrome was first diagnosed in Japan and named after the octopus pot (takotsubo), whose shape the heart mimics during this malady. Takotsubo can cause exactly the same symptoms as those of a heart attack, but the treatment is very different. We can "fix" a heart attack with powerful and effective medical treatments, but how do we fix a broken heart? Often, medical staff rise to this very occasion, using not the tools learned in school, but rather their innate human capacity to care for another. Octopus Heart is not only a compelling kinesthetic performance, it is also an ode to the complex mix of beauty, tragedy, tedium, endurance, and survival demonstrated by both patients and staff in the hospital. Providing a stipend to our locally, nationally, and internationally-recognized artists. I believe in Monica Silva. And this concept is brilliant, poignant and timely. I can't wait to see how this unfolds. Release your Octopus! I'm a big fan of both Mirela and Monica! Congratulations ladies on following your hearts. Support for local artists and performers. The topic is so interesting, Monica. We are really looking forward to seeing this performance! So thrilled to see this work coming to fruition! Monica began her dance training with me and was prodigious student. She continues in this vein and I see her future as a truly great artist. I love dance!! I love to dance and I really love to watch Monica dance! Can't wait to see these two worlds brought together! I know it will be beautiful. Monica’s precious work has been both beautiful and inspiring and I’m happy to support it.